Hailey Dawson likes to be photographed with her 3D-printed hand front and center. Sometimes she curls it into a fist and flexes her biceps. Other times she keeps it flat as a pancake, elbow bent into a classic dab. However she holds it, the point is that it’s there and she wants you to look at it. 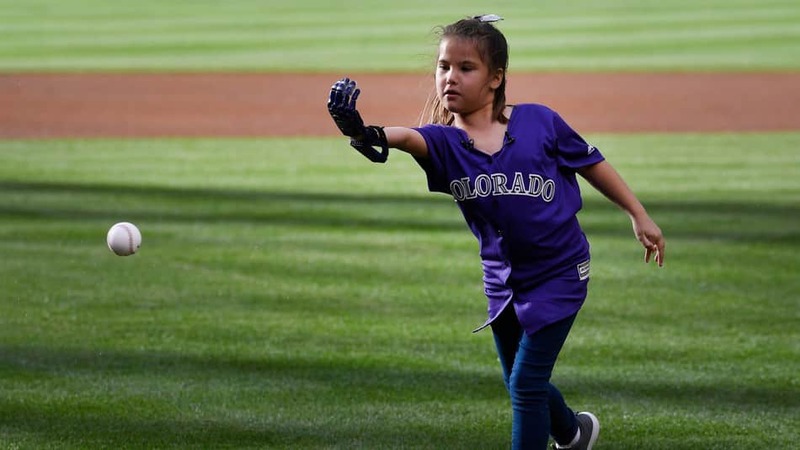 She’s gotten baseball fans around the country to pay attention to it, too, by throwing the first pitch at every MLB stadium to raise awareness of the need for affordable prosthetics. After she pitched at Angel Stadium in Anaheim on Sept. 16, the 30th and last stadium on her list, she completed what her family is calling her Journey to 30. When Hailey was born, her right hand came out different than the left. The right had a pinky and a thumb, but the three fingers in the middle were missing — her “nubbins” as her family calls them. Poland syndrome, the genetic condition she was born with, inhibits the development of a chest muscle. This makes the affected side of the body smaller and in some cases, causes abnormalities in an individual’s fingers. After her tour of baseball stadiums, which started in 2015, Hailey is looking towards the future. The 8-year-old says she’s ready for some vacation. Her mom bursted her bubble on those vacation plans, though, during a phone call with Mashable in August. “You still have school,” Yong Dawson, Hailey’s mom said. The third-grader grunted audibly in response. Hailey’s journey began when she threw the first pitch at a Baltimore Orioles baseball game. After tossing the ball to her favorite player, Manny Machado, the two celebrated with a fist bump. The experience made her so happy, her mom wrote to a second team to see if she could do it all over again, this time with the Washington Nationals. It took a little while for it to be arranged, but she eventually got an in for Game 4 of the 2017 World Series Game. Continue on to the Netflix newsroom to read the complete article. 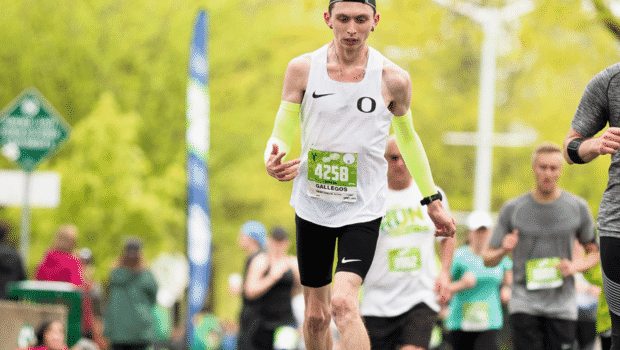 Justin Gallegos, a runner at University of Oregon, has made history by becoming the first professional athlete with cerebral palsy to sign with Nike. Gallegos, a junior with the school’s running club, made the announcement in an emotional video on his Instagram page. Gallegos was finishing a race on Saturday when he was met by a camera crew, a bunch of his teammates and Nike’s Insights director, John Douglass, who told him of the deal. In the video posted to his social media account, Gallegos collapses out of pure joy as his peers applaud him. A spokesperson with Nike confirmed to CBS News the signing of Gallegos. It was even more special because it landed on Cerebral Palsy Awareness Day. The condition is a neurological disorder that affects movement, motor skills and muscle tone. Gallegos used a walker as a toddler and pre-schooler, and did physical therapy in order to improve his gait, according to Running Magazine. He began competing in long-distance running in high school and caught the attention of Nike, then helped the company develop a shoe designed for runners with disabilities. Gallegos, who is aiming to run a half-marathon under two hours, calls this one of the most emotional moments in his seven years of running. “Thank you everyone for helping show the world that there is No Such Thing As A Disability!” he said. Continue onto CBS to read the complete article. The Baltimore Orioles want everyone to be able to root, root, root for the home team. 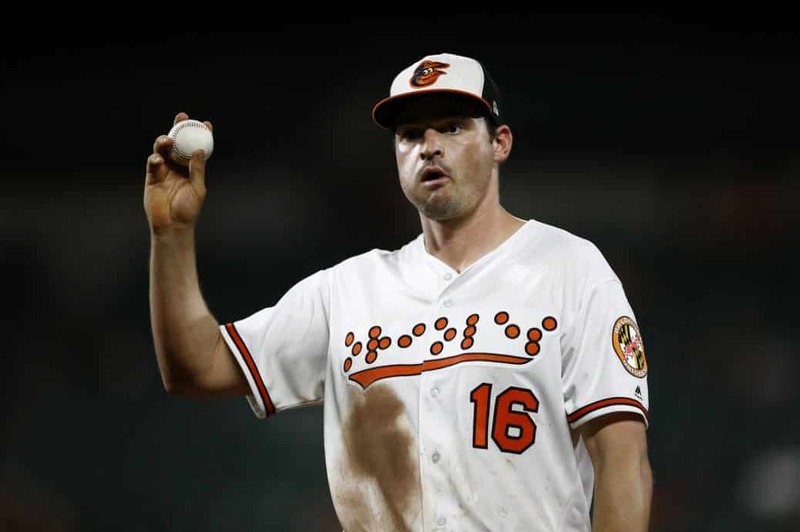 On Tuesday, as they faced off against the Toronto Blue Jays, the Orioles became the first professional sports team to wear jerseys with braille lettering at a game, according to Sports Illustrated. The fashion statement honored the National Federation of the Blind (NFB), which relocated its headquarters to Baltimore 40 years ago, SI reported. The team’s efforts at inclusion did not stop with the special apparel. Carlos Ibay, a blind concert pianist, performed the national anthem, and Mark Riccobono, the NFB president, threw out the first pitch, The Washington Postreported. The Maryland team passed out cards with the braille alphabet to attendees. The team hosted 95-year-old Merle Caples, a blind World War II veteran, on the field, according to its Twitter account. She told The Baltimore Sun that she gets her baseball fix by listening to the radio announcers. In her early teens, Mercado, now 31, was diagnosed with muscular dystrophy. She gets around using a motorized wheelchair and wakes at least an hour before most people. Broken subway elevators ( or sometimes no elevators at all), cabs that sometimes choose not to pick her up and cavernous, hidden hallways deep inside buildings are just a few of her daily challenges. Raised in New York by a seamstress mom and a shoe salesman dad, Mercado developed an early affinity for fashion. She’d sport her mom’s collections as early as age six, paying close attention to fabrics and shoes. But she never imagined she’d become a model. None of the magazines she read growing up featured anyone with a disability. Mercado studied at New York’s Fashion Institute of Technology, planning on a career as a fashion editor. In 2009, she landed a coveted internship as an editorial beauty intern at Allure. 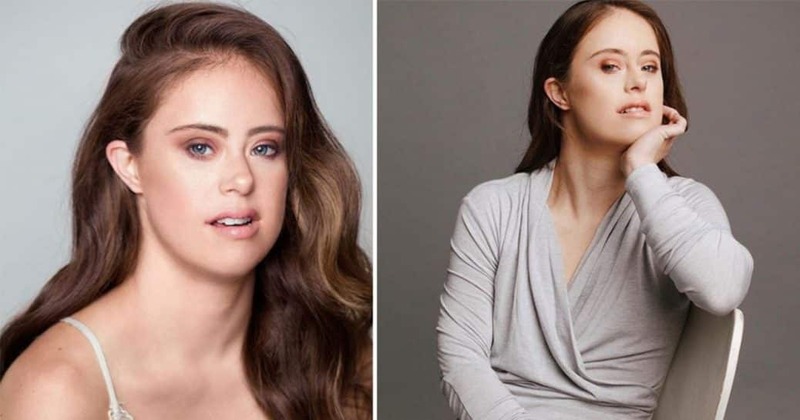 She says she hoped to create greater inclusivity for people with disabilities in fashion. She started blogging. But change came infuriatingly slow. She was one of 23 people from around the world chosen. 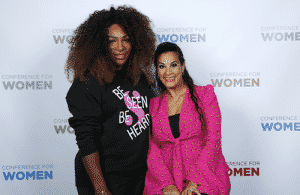 “I just saw a whole different world and a whole different opportunity to voice the opinions that I’ve been suppressing for a really long time,” she says. After Diesel, various modeling gigs came her way, and by the summer of 2015, she caught the attention of IMG Models. “I remember the first day I met Ivan Bart, president of IMG, I had bright pink hair,” Mercado says. IMG signed her, and Mercado joined an agency that represents Gisele Bundchen, Heidi Klum, Bella Hadid, Kate Moss and Elon Musk’s mother, Maye Musk. Her recent sold-out run of DESCENT at New York Live Arts, for instance, offered a constellation of stimulation. Onstage was a large architectural ramp with an assortment of peaks and planes. There was an intricate lighting and projection design. There was a musical score that unfolded like an epic poem. There was a live score too: the sounds of Sheppard and fellow dancer Laurel Lawson’s bodies interacting with the surfaces beneath them. And there were wheelchairs. But if you think the wheelchairs are the center of this work, you’re missing something vital about what Sheppard creates. “Often for non-disabled audience members,” she says, “the work isn’t real until they see the chair.” Curious requests to know why Sheppard uses a wheelchair are telling of how disability typically traffics in the public imagination. “The movement and the art somehow challenge what they think is possible,” she says. Excellence in dance is often de ned at the exclusion of disability. The idea of virtuosic performance involves dancers with precise technical control over each body part. The best dance, it’s often assumed, is performed by artists who are intensely able-bodied. But Sheppard’s work models a truth that is rarely understood among dance audiences: Disability does not signify incompleteness. In fact, it offers novel pathways to several movement styles, each of them whole and generative of unique choreographic forms. Alice Sheppard initially became a dancer to make good on a dare. It was 2004 and she was a professor in medieval studies at Penn State. 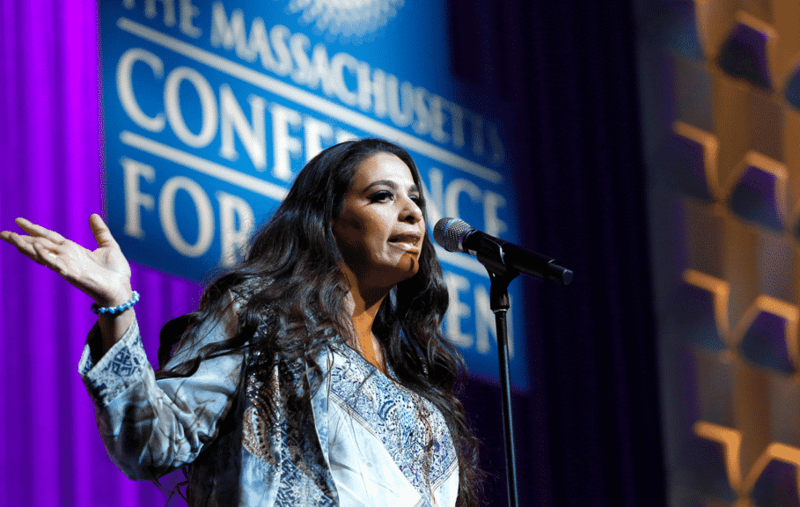 During a conference on dis- ability studies, she attended a performance by Homer Avila, a renowned dancer and choreographer who had lost one of his legs to cancer. Sheppard got to talking with him in a bar after his performance. He dared her to take a dance class. About a year after Avila died, she did—and shortly after resigned from academia. What hooked Sheppard was a question that has motivated her work ever since: How can we move beyond questions of ability to culture and aesthetics? In popular culture, disability often stands in for a vague and generalized adversity. Sheppard wanted to find a radically different process. 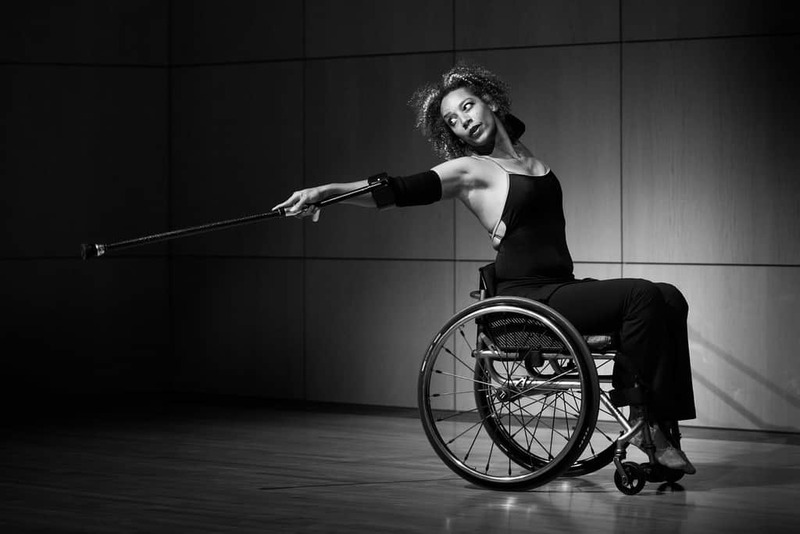 After leaving academia, Sheppard began exploring the techniques of dancing in a wheelchair and learning how disability can generate its own movement. She trained, performed and toured with several physically integrated dance companies, including AXIS Dance Company, Infinity Dance Theater, Full Radius Dance and Marc Brew Dance Company. Eventually, she launched the New York–based Kinetic Light, which has been invited to residencies at places like the prestigious Maggie Allesee National Center for Choreography and Gibney, and to perform at Jacob’s Pillow’s Inside/Out. She chose to form Kinetic Light as a production company rather than a dance company in an attempt to bring the work “outside of the arts bubble,” as she puts it on her website. Intersectionality—a term that has become increasingly conspicuous in the dance world—is what activates Sheppard’s work from content to process. As a queer disabled woman of color, she makes dance that explores the multiple identities she inhabits. DESCENT, for instance, imagines a queer and interracial love affair between the mythical figures Andromeda and Venus, performed through the disabled bodies of Sheppard and Lawson. In their wheelchairs, the dancers pursue what Sheppard often calls “wheel joy.” The pleasures of wheeled movement are palpable when the chairs produce beautifully tight and precise turns, often using inclined planes to harness momentum. During one sequence, Sheppard lies downstage on her back. Lawson tips forward and launches over Sheppard as her wheels lift behind, her stomach resting on Sheppard’s shins. The dancers spread their arms and hold each other’s stare with intimate tension. Lawson’s wheels spin silently, each spoke catching the cool hues of the lights. The movements do not represent the triumph over disability. They do not shore up myths about independence. And, even when Sheppard and Lawson dance without their wheelchairs, they do not scorn the wheelchair. The intersectionality that drives Sheppard’s work also leads her to collaborate with other artists. To design the ramp for DESCENT, Sheppard tapped Sara Hendren, an artist and design researcher for the Accessible Icon Project, which seeks to dislodge the staid blue-and- white wheelchair symbol as the central iconography of disability. And Sheppard turned to Michael Maag, also a wheelchair user, to design the production’s intricate projection system. 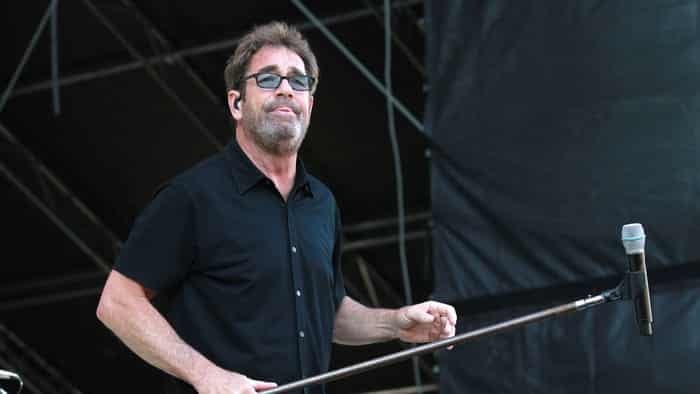 Just as she dispenses with the notion that one’s identity can be simplified to just one thing, Sheppard dispenses with the idea that disability artistry must be produced by a sole pioneer. She stresses the interdisciplinary nature of disability art, and recognizes the lineage, influence and conversation amongst artists of the past and the present. Continue onto DANCE Magazine to read the complete article.